Does that mean NIC will be de-listed? 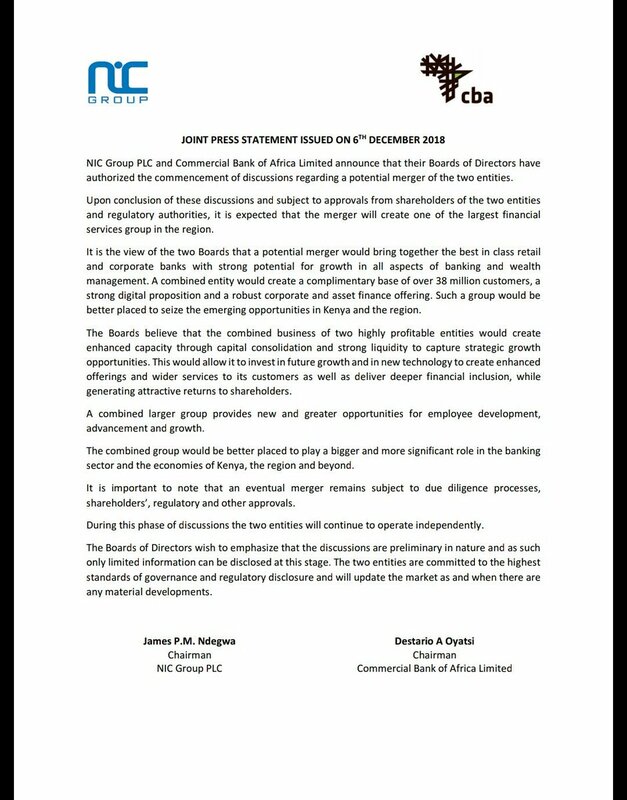 So existing NIC shareholders own CBA? So how does that work? Asking from a very layman position. Kweli lisemwalo Lipo kama halipo laja...this was a rumour sometimes back. 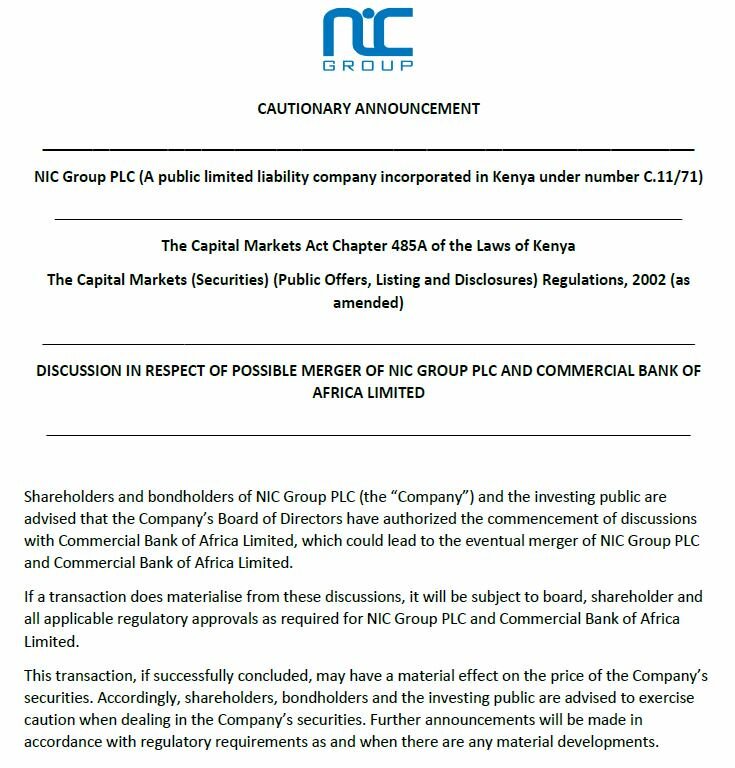 There will be a ratio of how shareholders of NIC will get ownership of CBA. Poor Cytonn, poor networks sold at the wrong time. Cc class 5 dropout thinking!!! This is a reverse meeger. An easy way for CBA to become listed. Just like CFC-Stanbic and IM-City Trust. Very bad timing but it's not over until it's over.. These are people who are thinking about wealth preservation for the next 100 years. You saw the recent volumes but didn't smell something. Isn't such record volume a clue to insider trading?